Two men arrested in connection with Cookstown disco tragedy | SHEmazing! 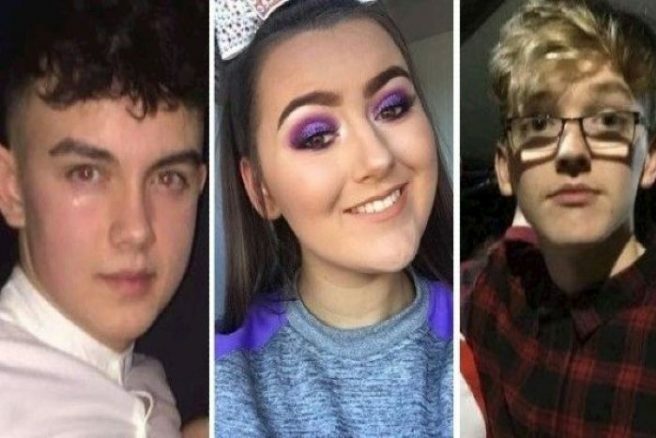 Two men have been arrested in connection with the deaths of three teenagers who were killed in the Cookstown disco tragedy on St.Patrick’s Day. The men, who are aged 40 and 52, have been arrested on suspicion of corporate manslaughter and are currently in custody. Detectives from PSNI Major Investigation Team investigating the deaths of three teenagers at the Greenvale Hotel in Cookstown on 17 March have arrested two men aged 52 and 40 earlier today, Tuesday 19 March, on suspicion of corporate manslaughter. They are currently in custody. 17-year-old Morgan Barnard, 17-year-old Lauren Bullock and 16-year-old Connor Currie tragically died in a suspected crush at the Greenvale Hotel in Cookstown, Tyrone.